Lehigh Valley artist Jessica Bastidas, who just received a Linny Award from Artsquest last Thursday, has crafted the 2019 Musikfest poster, Artsquest announced today. With imagery that evokes the industrial past of Bethlehem Steel and the adaptive reuse of the brownfields and Bethlehem’s North side as the Musikfest grounds, the poster is an amalgam of previous and present. 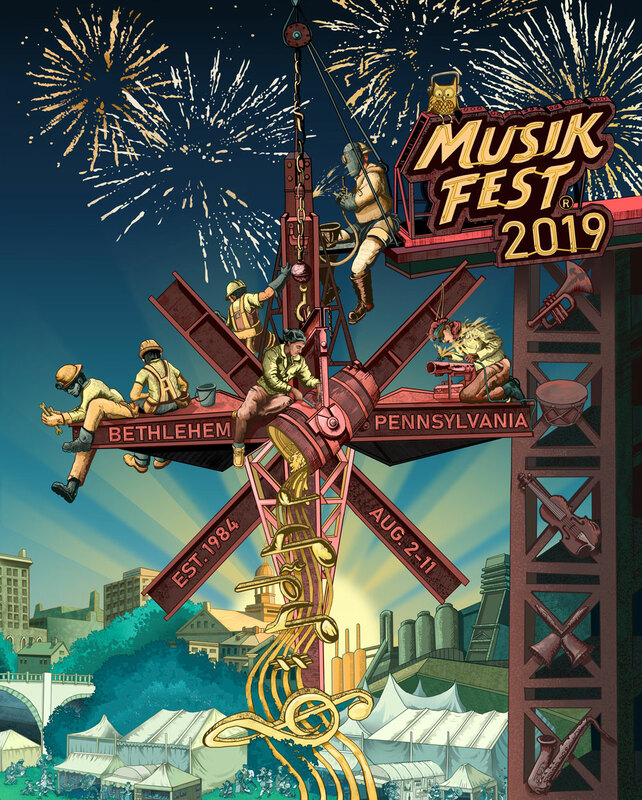 The Musikfest poster artwork, of course, will be seen far and wide on the Musikfest mugs that are pervasive throughout the course of the festival, as well as on t-shirts and other merchandise available throughout the year. Musikfest, one of the largest festivals of its kind in the nation, returns for its 36th iteration next August 2-11.